There is no indication that either the Saudi-led coalition nor the Saleh/Houthi coalition are willing to halt the devastating destruction of the country. A senior UN relief official has voiced concern about airstrikes on civilians that happened at the start of August 2017. In fact, recent evidence shows that the two fighting parties are cooperating to keep the war going so that their profit-making will not be affected. This, of course, is music to the ears of the arms industry, who keeps selling ammunition to each of the fighting parties. The war, according to varying estimates, has so far killed more than ten thousand Yemenis and injured hundreds of thousands. But these are all estimates. The cholera outbreak has infected nearly half a million people and killed two thousand people. Again, these are all estimates by various organisations. If the war continues in Yemen, the world has to be prepared for the potential of other surprise outbreaks of deadly diseases. Shockingly, these could be diseases that have been nearly eradicated from modern times—diseases such as polio—which could make a strong comeback. The cholera outbreak might improve, but in the absence of a functioning health system, malnutrition, starvation and deadly infectious diseases will be the norm. The war has severely disrupted the functions of health facilities, the availability of medicine, and the absence of the workforce due to the risks of being killed or not being paid. An outbreak in the future will be extremely difficult to control. The impact of war in Yemen was simplified in this WHO infographic. At the time of writing, Yemen’s crisis is the least of the world’s worries. Yemenis are being left to rot in a forgotten war. Some of the Yemeni diaspora in the UK and elsewhere are less interested in the cholera outbreak, but care more about who is going to win the war. However, it is fast dawning on many that there will be no winners and losers. In reality, everyone will be losers, because they have failed their own people and destroyed the basic infrastructure that was there before the war. It is easy to blame the other as a wrong-doer, but it is difficult to take responsibility and make compromises for the sake of all. Cholera in Yemen is a man-made outbreak. Campaigners highlighting the cholera outbreak are careful not to mention politics when they talk about cholera. In other words, humanitarian agencies are comfortable talking about the cholera outbreak, but they are unable to speak about why it happened in the first place. Hence, the diplomacy of the gun remains the strongest and cholera is a shadow that comes and goes, making insignificant headlines, if any, and mostly on social media. The cholera outbreak has affected almost all the governorates in Yemen. The top ten governorates affected by cholera were all in areas that are controlled by the Saleh/Houthi coalition, except Adalea. There could be several explanations as to why this is the case. Many health facilities are either destroyed or closed, health workers are not paid, and the transport of medicine is limited due to tight military control by both sides of the conflict. Amanat Al Asimah in the capital Sanaa, followed by Al Hudaydah, Hajjah, and Amran had the highest number of cholera cases. How the local communities have responded to the outbreak in these varied geographical areas is difficult to tell at the moment. The Yemen polling report presents some evidence about peoples’ opinion on the war, security, and gender related security issues. In relation to the top 10 governorates affected by cholera, the report might give a proxy explanation of why these governorates were affected most. The world is witnessing a man-made cholera outbreak in Yemen as a result of a conflict that has entered its third year. No matter what happens to reduce the spread of the outbreak, other outbreaks of deadly infectious diseases are assured, as was predicted earlier by different experts. This is due to the total collapse of the health system in Yemen and the continued conflict which shows no sign of abating at the time of writing. How could public health and other health professionals in the UK, interested in Yemen, use existing technologies to support Yemen’s collapsed health services? How could the international health community encourage and build local health networks in Yemen where the war is not as intensive as in other parts of the country? 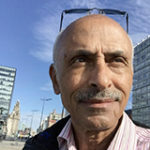 Taher Qassim works for the department of public health in Liverpool Local Authority. He is a public health practitioner. He is the chair of the Liverpool Arab Arts Festival.